I've seen "Inception" 11 times. Odds are that after I submit this dream, I will watch the movie again. After about 5 times viewing, the movie was already in my subconscious mind. Six times later, it was inevitable that I'd have my own "Inception" dream. Sure enough, it happened, and it was the worst. Paradoxically, the dream began with me waking up around action stars Joseph Gordon-Levitt, Leonardo DiCaprio, and Juno (Ellen Page). Upon waking, I was interrogated--"Did you get the goods? ", Page was demanding. I obviously was confused, but I didn't care. I loved "Inception" and I was living it. Anyhow, upon witnessing my baffled behavior, DiCaprio insisted, "We must go deeper", his somewhat idiotic catchphrase from the movie, and DiCaprio, Levitt, Page, and I were plunged into the recesses of my mind. Apparently, the recesses of my mind are dangerous as hell. As soon I opened my eyes to find myself in a motorboat with the others, I heard the harsh noise of helicopter blades and the quick bursts of gunfire. Morbid as it was, Ellen Page got mowed down. At this point, I realized...this does not happen in the movie. I'm dreaming. This lucidity, however, was somewhat limited. 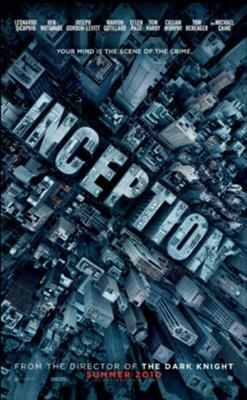 Unlike a fully understanding that I was in a dream, I only knew I was in a dream in this world--like "Inception". As a result, to get out of the dream, I did some casual heroics, taking out the helicopter, saving someone (I don't remember who), but I ended up dying in the process. I remember I was able to fly and do some crazy things, though. Anyhow, I awoke again to find myself in my room, where I had fallen asleep in the real world. However, I was incredibly confused. Was I still in the "Inception" dream world? Had I been placed in a dream within a dream? I hadn't, and I was back in reality, but it was pretty ridiculous to sort through that mindmess for a few hours.